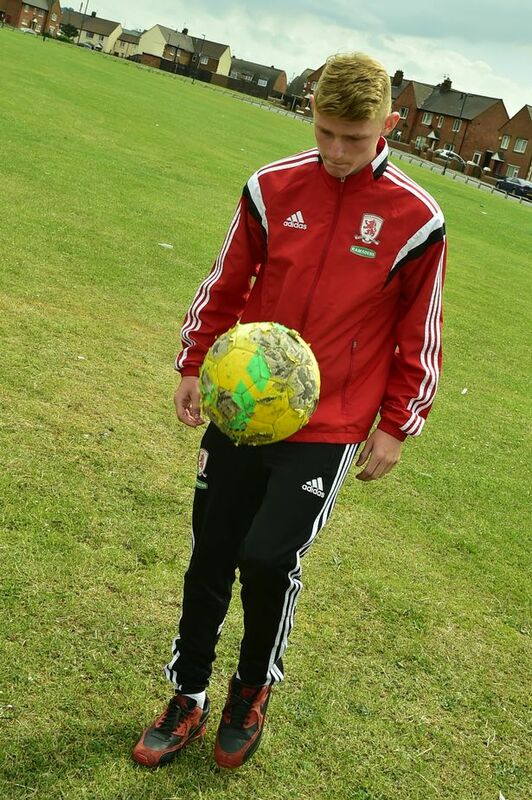 The family and friends of Anthony Renton, the 18-year-old Middlesbrough Academy player diagnosed with leukaemia, are fundraising for national blood cancer charity Leukaemia CARE. The 19-year-old has started treatment at the Freeman Hospital in Newcastle, with manager Garry Monk and club captain Grant Leadbitter both offering their complete support on behalf of everyone at the club. Jacob Nee, Transport Assistant in our Teesside office is good friends with Anthony and asked if Waters could help. Jacob then sorted the shirts for the charity match, all printed with RENTON 6 supported by Waters Waste Services, alongside a donation to Leukaemia Care from the company. Anthony’s aunt, Kerry Renton, and her partner Benjamin Gibson have organised a coffee morning this September to mark Blood Cancer Awareness Month. The coffee morning is being held at Habinteg Community Centre, in Hemlington , on September 13 from 10.30am. The family are encouraging anyone from the local community to attend. Kerry said: “I was very shocked and upset to learn about Anthony’s leukaemia. Anthony’s friends and family have been continuously fundraising since his leukaemia diagnosis. So far, they have raised nearly £3,000, after Anthony’s friend Michael Booth, his aunt Caroline Renton, and childhood friend Chelsea Cunningham organised a football match and community fun day. Despite having just finished his first round of chemotherapy, Anthony played the second half of the match at Eston Sports Academy . The festivities then continued on to St Peter’s Social Club, where there was a DJ, raffle, tombola and photo booth. The photo booth and prizes were generously donated by local businesses. When Anthony was diagnosed in July, Middlesbrough Football Club said “the thoughts and support of everyone at Boro” were with South Bank-born Renton. Club captain Grant Leadbitter offered his young teammate words of support. He said: “Anthony is facing the biggest challenge of his young life and we’re all urging him to attack it head on. Leukaemia CARE is a national blood cancer support charity committed to providing support and information to all those affected by blood cancer.